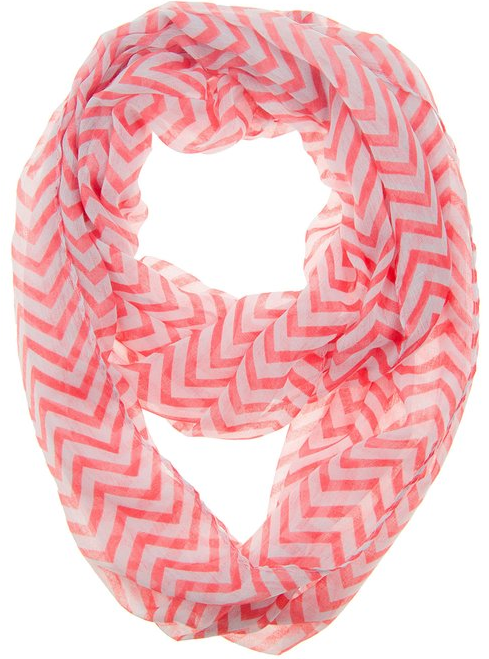 Chevron Sheer Infinity Scarf Only $5.99 Plus FREE Shipping with Prime! You are here: Home / Great Deals / Amazon Deals / Chevron Sheer Infinity Scarf Only $5.99 Plus FREE Shipping with Prime! I am a huge fan of infinity scarves and the chevron pattern that is hot right now! This Chevron Sheer Infinity Scarf is Only $5.99 Plus FREE Shipping with Prime! advantage of this great FREE shipping offer!